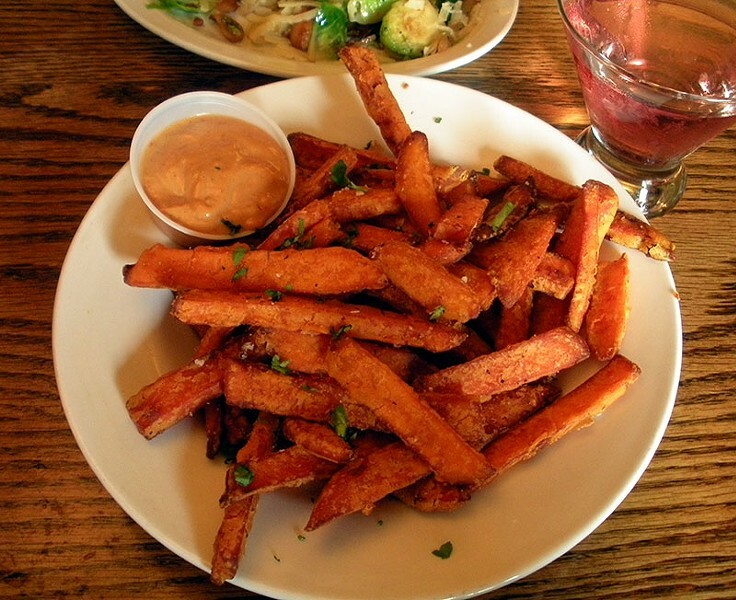 Crusty sweet potato fries at Plaza Grill. The Venn diagram of happy hour offerings with a circle for the satisfying, a circle for the wholesome and one for for the naughtily fun reveals a tiny triangle of overlap at its center. 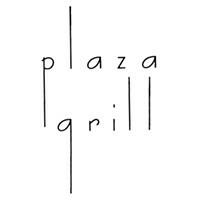 This is where you find Plaza Grill's sweet potato fries ($5 during happy hour). The russet pile shows up sprinkled with parsley and coarse salt, accompanied by a creamy chipotle molasses dip. The fries are coated and fried to form a crispy crust outside, while the inside is a jewel-toned orange, more smooth, savory pie than starchy potato. A little spicy, lots of texture — do you need the dip? You do. The ferrety Bobby Flay nearly ruined chipotle for the whole class with his constant stream of squeeze bottles, but this little tub of sauce will bring you back to the earthy smokiness and bite of the stuff. Spoon some on your plate — nobody likes a double dipper. You're dipping, biting the crust and tasting the soft center of the fries, one after another. Are you even following the conversation at the table? Nobody else is. Your companions are nodding and scoping the next fry, weighing manners and friendship against greed. Keep nodding and order more. Let's stay friends, shall we?